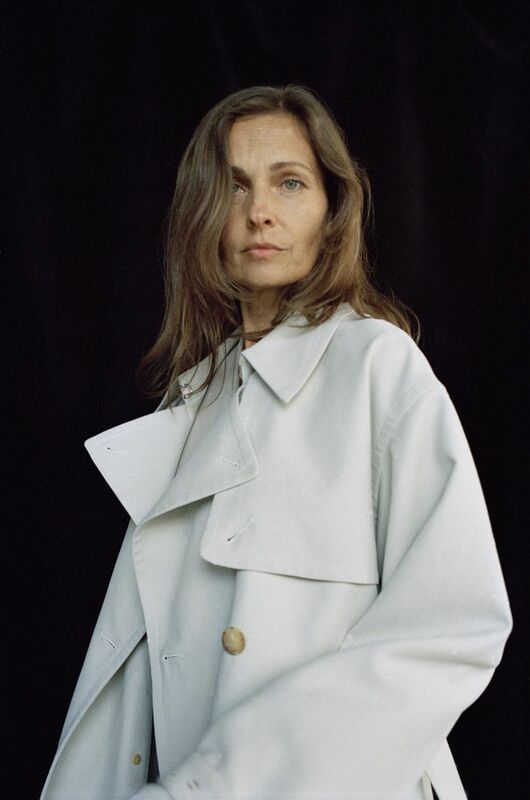 While it's no secret that the fashion industry as a whole tends to be obsessed with youth, The Row has always stood out as a brand that cares about age in a very different way. In fact, from an outsiders perspective, it seems as though agelessness, and not merely age, are always front and center for Mary-Kate and Ashley Olsen's brand. And this brings us to the recently released Resort 2017 collection in which the label, once again, cast a wide net as far as generations go. According to The Row, Resort 2017 focuses on the balance of masculine and feminine silhouettes, as well as the ability to wear pieces all hours of the day and not just for a specific occasion. The result: a sleek, figure-flattering line that relies on basics that any and every woman can use, such as a slinky slip dress, oversize and cozy knits, and above all, an impeccably fitted trench coat. "The design process began by referencing vintage trench coats from the 1980s," the press release reads. And, within the photos, we can clearly see how the oversize, structured-yet-soft styles come to life as a powerful, polished, and practical piece that defies age and trend cycles. See the entire Resort 2017 lineup, below. The perfect shade of not-quite white that's seasonless. A roomy ribbed sweater. Classic. Kind of like your favorite sleepwear, except way too pretty to just keep at home. Ditch the traditional khaki trench for a navy shade. Friends who slip together, stay together. Another ageless style move: monochrome. A shiny leather material gives this trench a bit more edge. This knit dress has a badass belt situation going on. The perfect clash of neutrals. Slinky dresses and chunky loafers, for the win. Jump ahead to shop more ageless Olsen-inspired styles.